Home/Show News/Don’t miss the last day of THE FLOORING SHOW! …it’s not to late to visit! Over 180 exhibitors are preparing for the show and visitors still registering to attend. Plan your trip in advance using the useful links on our website to avoid any last minute rushing and disappointment! If you still need to plan your trip to The Flooring Show, you can use our website to arrange accommodation and travel. Our only official accommodation agent is Reservation Highway. Make sure you use them! PLEASE BEWARE: there are bogus accommodation agents contacting exhibitors from many shows across the UK claiming to get discounted rates for hotels. The Business Advice Centre is open to all visitors and exhibitors across the three days of The Flooring Show. Each advisor has 2 hours to dish their expert knowledge in 15 minute, pre-booked, slots. You can go to them with a few different questions; questions specific to your own business or you can simply go for a chat to bounce around ideas that will work for you. [email protected] with the name of the advisor you’d like to speak to. Helen has 7 years experience writing and editing online content both in a corporate environment and for her company Blue Hippo Editorial Services. She works with companies across different industries writing, editing and proofreading content for the online world. Deborah Marshall is a CIM DipM qualified Marketing Consultant. With almost 20 years’ experience of working in marketing across many industries, she now focusses on helping SMEs get the best value from their online marketing. In this area curated by Scarlet Opus, the details of three key design trends for 2018 will be showcased how they can translate to flooring, alongside trend boards and trend storyboards. For more information about the trends hub please take a look at our website www.theflooringshow.com. For the 2017 Show, the Campaign for Wool and British Wool will be working in conjunction with the Flooring Show to create a Wool Trends Area, showing the benefits of wool products for the interiors sector, especially flooring! 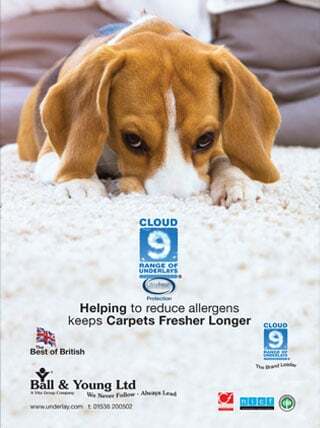 The area will also feature Wool Carpet exhibitors, including Penthouse Carpets Ltd, Brockway, Axminster Carpets, Cavalier Carpets, Adam Carpets, Bondworth & Ulster Carpets Ltd. This years free of charge seminars will be taking place at ‘Speakers Corner’ and will focus on helping visitors across a variety of topics: market products and businesses using various methods; how to price products; make social media work for your company; carpet recycling; caring for wool & wool trends. David Abbott, RFMS, Houzz, Federation of Small Business, Steve Philip, Interface, Hattrick PR and Scarlet Opus. Our keynote speaker is Warren Knight, who’ll be discussing ‘How to Win New Business with Social Media’. In this thought provoking seminar with the renowned Social Media Strategist; you’ll learn how to turn visitors into prospects and win new business. Warren will walk you through his proven step-by-step social media roadmap to achieve the end goal of generating brand awareness and increasing sales. Learn how to connect with your customers and win new contract work by creating relevant content and turn your business into a successful, socially savvy business. Complementing the packed Seminar schedule, the first ever Panel Discussion will be running on Sunday 17th September. To be chaired by Martin Curtis of Wool Carpet Focus Group, the discussion will focus on ‘Why Consumers Should Choose Wool Carpet’; discussing the positives and negatives in a live, interactive debate that you will not want to miss! After it’s applauded return last year, NICF are looking for the next Carpet Fitter of the Year, with the final of the competition taking place in the Kings Suite at The Flooring Show. Six finalists: Darren Ash, Jason Draper, Dan Evans, Rob Harper, Byron Terret and John Wright, will face their final task, live during the show, where the winner will also be announced! As proud sponsors of the competition, The Flooring Show would like to say a huge well done to all who entered the competition and good luck to all six finalists! In 2017, the Show organisers are introducing the ‘Contract Zone’. Featuring a central display of the latest trends and innovations in the contract flooring sector, and surrounded by exhibition stands, which will host key brands, this latest development will be one not to miss for architects, interior designers, facilities mangers, developers and contract managers. Located in Hall Q, this exciting new area is supported and sponsored by the Contract Flooring Association, who will also be running a Demonstration Zone with a specific focus on contract flooring in the same Hall. Also located in Hall Q will be a specific seminar area, which will host CPD certified seminars, giving visitors from the contract sector a chance to add to their professional development. Throughout the three day exhibition Bar Q will be open for business, offering free tea and coffee all day with two Happy Hours on Sunday, Monday and Tuesday! This is a great space for socialsing after you have visited the exhibitors in Hall Q! To collect your free drink during Happy Hour make sure you collect your drinks token from one of our 3 registration desks. The entire Flooring Show and all Show Features are completely free of charge and with this years show due to be bigger and better than ever, you won’t want to miss out! 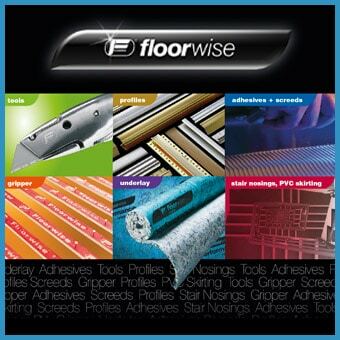 Register to attend and get fast track entry on www.theflooringshow.com.